Home / OHcp Team / Yvonne M. Lau, Ph.D.
Yvonne Lau is a sociologist and researcher/consultant who brings research design, assessment and evaluation experience with particular experience in: diversity training and workplace/campus climate assessments; and multicultural and cultural competency training. She has worked with public and private sector institutions and not-for-profit organizations to enhance their outreach, retention, workplace climate, and well-being of all their constituents and clients, especially those representing historically underrepresented racial and ethnic groups. 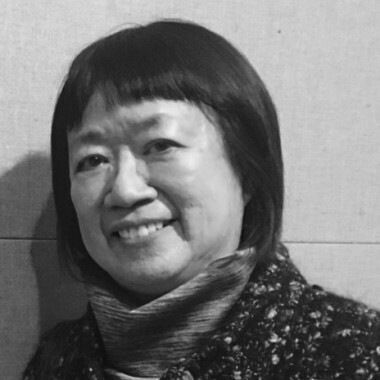 Before becoming a consultant, in her 25-year career in higher education in Multicultural Affairs, academic administration, teaching and research, Dr. Lau had been passionate about developing innovative educational programs and increasing the retention and well-being of students of color and first-generation immigrant students who were non-native English language learners (ELLs). At Loyola University Chicago, while serving as Assistant Dean in Multicultural Affairs, she launched the first campus climate study and student assessments to improve the minority student retention rate and measure the overall satisfaction among students of color. The campus climate survey was disseminated to approximately 2,500 students of color; in addition, about 300 African-American, Asian-American, and Latino-American students participated in focus groups. Dr. Lau continued her work in helping to conduct campus climate and other outcomes-based assessments at DePaul University where she was an administrator and on the faculty. As the Research and Education Associate in Academic Affairs, she collaborated to design and conduct an annual campus climate study. All undergraduates (N=16,000) in the Colleges of Business, Computer Science, and Liberal Arts and Sciences were invited to participate in an online electronic survey. Dr. Lau was primarily responsible for data analyses of survey responses from students of color who represented approximately 33% of students at DePaul. As an interdisciplinary scholar, she created and taught new curricula for courses including: Multiculturalism in the U.S.; Sociology of Race and Ethnicity; Asian American Communities in Chicago; Sociology of Asian American Education; Sociology of the Asian American Youth and Family; Asian American Cinema; and Language and Culture. She is nationally-known for developing model early college immersion and teacher training programs for the critical languages. Her pioneering decade-long programs in global education and critical language training were awarded almost $1.3 million from Chicago Public Schools, the National Security Agency and the U.S. Department of Education. Her expertise and research on minority economic development and commitment to diversity and inclusion, led her to serve as a consultant for the City of Chicago’s Department of Procurement Services. Focusing on the City of Chicago’s Minority and Women Business Enterprises Program (“M/WBE Program”), over seven years, Dr. Lau collaborated with other experts to gather evidence of discrimination in the Chicago area construction marketplace. Her extensive fieldwork and comprehensive report helped to justify the reauthorization of the M/WBE Program and to maintain the inclusion of women and minority entrepreneurs in the program. Dr. Lau was the founding president of the Asian American Institute in Chicago – a not-for-profit organization devoted to research, education and advocacy. She is the co-founder of Asian American Coalition for Education. Dr. Lau was honored as an Inductee of the Asian Academy Hall of Distinction. Dr. Lau has served on the ISBE’s Anti-Bias Committee & the United Way’s Priority Grants Committee. She was appointed by former CPS CEO Arne Duncan (now US Secretary of Education) to serve on the CPS Blue Ribbon Commission on Selective Enrollment Schools. Dr. Lau is a graduate of Cornell University and received her M.A. and PhD. from Northwestern University in Sociology.